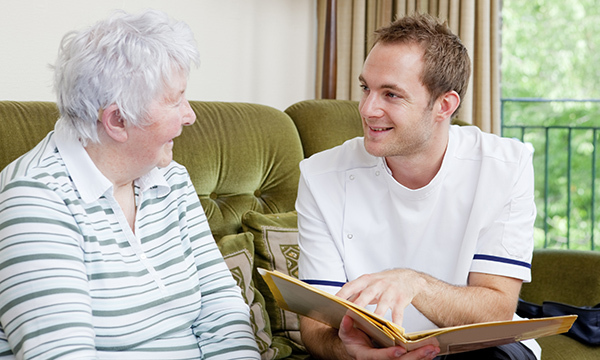 How can I provide person-centred care for older people living with frailty? Healthcare needs to change radically to better meet the needs of the ageing population. In the next 17 years the number of people aged 65 and older is projected to rise by 41% to more than 16 million (Age UK 2018). In older people, limiting disability is often preceded by a state characterised by reduced capacity to respond to stressors, caused by a decline in functional reserves. This condition is frailty. As frailty progresses, individuals become more susceptible to developing conditions known as frailty syndromes, which include multiple falls, acute confusion/delirium, sudden loss of mobility and incontinence. These events often result in admission to hospital, after which frail older people experience increased lengths of stay and loss of independence. Frailty is not an inevitable part of ageing. Diagnosing frailty identifies a high-risk population group and offers characteristics of clinical importance that can be treated and managed, but it is complicated; all body systems show a decline in function with age and so it can be difficult to distinguish between normal ageing and disease. Care and support that focus on the person and their goals is vital at this stage and nurses are important clinicians in the delivery of person-centred care. The National Institute for Health and Care Excellence (2016) guideline on multimorbidity gives helpful recommendations for assessing and working in partnership with people with multiple long-term conditions and frailty. How the person's health conditions and their treatments interact and how this affects quality of life. The person's individual needs, preferences for treatments, health priorities, lifestyle and goals. The benefits and risks of following recommendations from guidance on single health conditions. Improving quality of life by reducing treatment burden, adverse events and unplanned care. Improving coordination of care across services. An example of how this may relate to an older person with frailty could be in managing medication. Single-disease focused management guidance may state that the person should be on various types of medication to reduce blood pressure. However, a frail older person may experience significant adverse effects from such medication, such as postural hypotension leading to instability and falls. It would be important at this stage to have an open conversation with the patient, so they can understand the effects of the medication and the likely effect of stopping it. As nurses we would need to explore the patient’s goals and support them to make an informed choice acting as their advocate if needed. This choice can be documented in a personalised care and support plan so that others involved in the person’s care are aware. Providing person-centred care is not always easy. It may feel counter-intuitive and risky to move away from evidence-based guidance for specific conditions, towards a more open-minded, holistic culture. But where the older person takes ownership and makes the decisions about their care, supported by nurses who understand the evidence and work in partnership with them, it can improve quality of life and reduce treatment burden. Age UK (2018) Later Life in the United Kingdom. National Institute for Health and Care Excellence (2016) Multimorbidity: Clinical Assessment and Management. NICE guideline 56.